We have emerged as one of the most eminent names in the industry engaged in serving our valued clients with a wide range of PIR Motion Sensors. Our range is highly appreciated by the clients for their safe and reliable operations, reliability and many other features. We hold immense expertise in wholesaling, trading, distributing and supplying a broad range of Panel Light With Dimmer Driver Motion Sensor - 12 W - SN-RPL 12A. This motion sensor is ideal for Living Rooms, Balcony, Staircase, Corridors, Lifts etc.The offered motion sensor is developed with manual override on operational modes, universal mounting design, and quick installation mode. 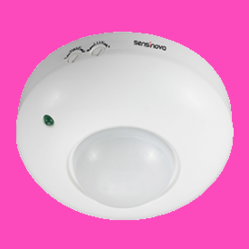 In addition, we also offer this motion sensor in a variety of specifications as per the need of customers. Microwave LED Sensor SMART PANEL LIGHT with dimming Option, 12W output. Outer Dis =150mm, Cut out Dia =137mm. Daylight Sensor: 5Lux, 15Lux, 50 Lux, 2000Lux. Detection Distance: Wall:5-15m(Adjustable), Ceiling:2-8(radius), adjustable. Detection Range: 10%, 50%, 75%, 100% (choice), installing Height: Wall: 1.5 – 3.5m, Ceiling 2-4m. Living Rooms, Balcony, Staircase, Corridors. 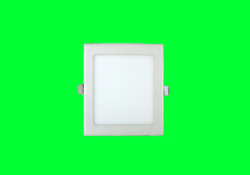 We Are The Leading Manufacturer And Suppliers For Panel light with Dimmer Driver Motion Sensor In South India Such As Thiruvallur, Chennai, Kancheepuram, Vellore, Thiruvannamalai, Krishnagiri, Dharamapuri, Villipuram, Cuddalore, Salem, Erode, Namakal, Perambalur, Nilgiris, Coimbatore, Tiruppur, Karur, Tiruchchirapalli, Ariyalur, Nagapattinam, Thanjavur, Thiruvarur, Nagapattinam, Pudukkotai, Dindigul, Theni, Madurai, Sivagangai, Ramanathapuram, Virudunagar, Tirunelveli, Thoothukudi, Kanniyakumari, Hosur, Rajapalayam, Puduchcheri, Kerala. We hold immense expertise in wholesaling, trading, distributing and supplying a broad range of 360 Degree Ceiling Mount Stand Alone Light Control PIR Sensor(Remote with Dimming).This motion sensor is ideal for Main Entrance, Toilets / Lobby. Corridor, Pantry, Covered Parking Area, Stairways. The offered motion sensor is developed with manual override on operational modes, universal mounting design, and quick installation mode. In addition, we also offer this motion sensor in a variety of specifications as per the need of customers. Time Settings up to 30 min. Highly sensitive Load up to 2000 W. Inst.Height -2.2m to 6 mtr. Best results on 24 deg temp, All the settings an be done with remote. Rated Load : Max 2000W,1000W, Stand by dimming Level Off, 10%, 20%, 30% Off. We Are The Leading Manufacturer And Suppliers For 360 DEGREE CEILING MOUNT STAND ALONE LIGHT CONTROL In South India Such As Thiruvallur, Chennai, Kancheepuram, Vellore, Thiruvannamalai, Krishnagiri, Dharamapuri, Villipuram, Cuddalore, Salem, Erode, Namakal, Perambalur, Nilgiris, Coimbatore, Tiruppur, Karur, Tiruchchirapalli, Ariyalur, Nagapattinam, Thanjavur, Thiruvarur, Nagapattinam, Pudukkotai, Dindigul, Theni, Madurai, Sivagangai, Ramanathapuram, Virudunagar, Tirunelveli, Thoothukudi, Kanniyakumari, Hosur, Rajapalayam, Puduchcheri, Kerala. We hold immense expertise in wholesaling, trading, distributing and supplying a broad range of Pir Motion Sensor Weather Proof For Outdoor Use - SN-PR15. This motion sensor is ideal for Garden Area, Main Enterance, Terrance, Parking Lots, Balcony, Toilets. The offered motion sensor is developed with manual override on operational modes, universal mounting design, and quick installation mode. In addition, we also offer this motion sensor in a variety of specifications as per the need of customers. Ambient Light : <3-2000 Lux (Adjustable) IP65. Garden Area, Main Enterance, Terrace, Parking lots, Balcony, Toilets. 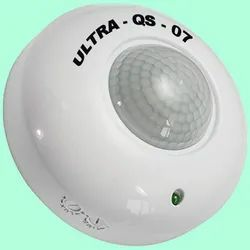 We Are The Leading Manufacturer And Suppliers For PIR MOTION SENSOR WEATHER PROOF FOR OUTDOOR USE In South India Such As Thiruvallur, Chennai, Kancheepuram, Vellore, Thiruvannamalai, Krishnagiri, Dharamapuri, Villipuram, Cuddalore, Salem, Erode, Namakal, Perambalur, Nilgiris, Coimbatore, Tiruppur, Karur, Tiruchchirapalli, Ariyalur, Nagapattinam, Thanjavur, Thiruvarur, Nagapattinam, Pudukkotai, Dindigul, Theni, Madurai, Sivagangai, Ramanathapuram, Virudunagar, Tirunelveli, Thoothukudi, Kanniyakumari, Hosur, Rajapalayam, Puduchcheri, Kerala. • Ideal for cabin, office, pantry, staircase, parking, Generator room, store, laundry room, washroom,toiletblock, garage, lobby, classrooms. • 100% ROI in 4 months (for 6 tube-light loads). • Useful for indoor applications. 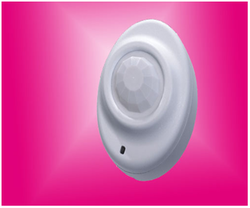 We Are The Leading Manufacturer And Suppliers For PIR Motion Sensors LS-912R In South India Such As Thiruvallur, Chennai, Kancheepuram, Vellore, Thiruvannamalai, Krishnagiri, Dharamapuri, Villipuram, Cuddalore, Salem, Erode, Namakal, Perambalur, Nilgiris, Coimbatore, Tiruppur, Karur, Tiruchchirapalli, Ariyalur, Nagapattinam, Thanjavur, Thiruvarur, Nagapattinam, Pudukkotai, Dindigul, Theni, Madurai, Sivagangai, Ramanathapuram, Virudunagar, Tirunelveli, Thoothukudi, Kanniyakumari, Hosur, Rajapalayam, Puduchcheri, Kerala. We hold immense expertise in wholesaling, trading, distributing and supplying a broad range of Panel Light with Dimmer Driver Motion Sensor - SN-SPL12. This motion sensor is ideal for Living Rooms, Balcony, Staircase, Corridors, Lifts etc.The offered motion sensor is developed with manual override on operational modes, universal mounting design, and quick installation mode. In addition, we also offer this motion sensor in a variety of specifications as per the need of customers. DaylightSensor: 5Lux, 15Lux, 50 Lux, 2000Lux. Detection Range: 10%, 50%, 75%, 100%(choice), installing Height: Wall: 1.5 – 3.5m, Ceiling 2-4m. 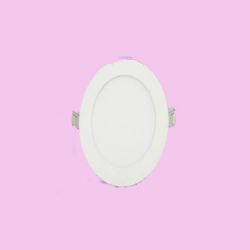 We Are The Leading Manufacturer And Suppliers For Panel Light with Dimmer Driver Motion Sensor - 12 Watt In South India Such As Thiruvallur, Chennai, Kancheepuram, Vellore, Thiruvannamalai, Krishnagiri, Dharamapuri, Villipuram, Cuddalore, Salem, Erode, Namakal, Perambalur, Nilgiris, Coimbatore, Tiruppur, Karur, Tiruchchirapalli, Ariyalur, Nagapattinam, Thanjavur, Thiruvarur, Nagapattinam, Pudukkotai, Dindigul, Theni, Madurai, Sivagangai, Ramanathapuram, Virudunagar, Tirunelveli, Thoothukudi, Kanniyakumari, Hosur, Rajapalayam, Puduchcheri, Kerala. 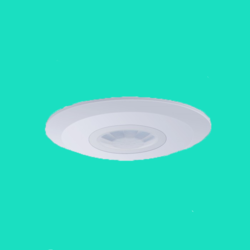 We hold immense expertise in wholesaling, trading, distributing and supplying a broad range of 360 Degree Ceiling Mount Stand alone Light control PIR Sensor - SN-PR05B. 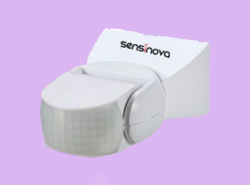 This motion sensor is ideal for Main Enterence, Toilets / Lobby, corridors, Pantry, Covered Parking Area, Stairways. The offered motion sensor is developed with manual override on operational modes, universal mounting design, and quick installation mode. In addition, we also offer this motion sensor in a variety of specifications as per the need of customers. Low Cost Ceiling Mount, Time & Lux Control. Sensitivity Control not available, for indoor application. Main Entrance, Toilets / Lobby. Corridor, Pantry. Covered Parking Area, stairways. We hold immense expertise in wholesaling, trading, distributing and supplying a broad range of Led Lamp With Microwave Sensor - SN-LP731B. This motion sensor is ideal for Living Rooms, Balcony, Staircase, Corridors, Lifts etc.The offered motion sensor is developed with manual override on operational modes, universal mounting design, and quick installation mode. In addition, we also offer this motion sensor in a variety of specifications as per the need of customers. Detection Distance: 5-15m(Adjustable), Ceiling: 2-8m(Radius), Adjustable. We Are The Leading Manufacturer And Suppliers For Led Lamp With Microwave Sensor In South India Such As Thiruvallur, Chennai, Kancheepuram, Vellore, Thiruvannamalai, Krishnagiri, Dharamapuri, Villipuram, Cuddalore, Salem, Erode, Namakal, Perambalur, Nilgiris, Coimbatore, Tiruppur, Karur, Tiruchchirapalli, Ariyalur, Nagapattinam, Thanjavur, Thiruvarur, Nagapattinam, Pudukkotai, Dindigul, Theni, Madurai, Sivagangai, Ramanathapuram, Virudunagar, Tirunelveli, Thoothukudi, Kanniyakumari, Hosur, Rajapalayam, Puduchcheri, Kerala. We hold immense expertise in wholesaling, trading, distributing and supplying a broad range of Led Lamp With Microwave Sensor - SN-LP731C. This motion sensor is ideal for Entrance, Corridors, Walk Through Passages, Garage, staircase, Basement, Carparks, The offered motion sensor is developed with manual override on operational modes, universal mounting design, and quick installation mode. 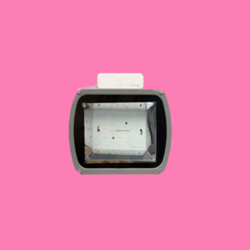 In addition, we also offer this motion sensor in a variety of specifications as per the need of customers. We Are The Leading Manufacturer And Suppliers For Led Lamp With microwave Sensor - 18 W, In South India Such As Thiruvallur, Chennai, Kancheepuram, Vellore, Thiruvannamalai, Krishnagiri, Dharamapuri, Villipuram, Cuddalore, Salem, Erode, Namakal, Perambalur, Nilgiris, Coimbatore, Tiruppur, Karur, Tiruchchirapalli, Ariyalur, Nagapattinam, Thanjavur, Thiruvarur, Nagapattinam, Pudukkotai, Dindigul, Theni, Madurai, Sivagangai, Ramanathapuram, Virudunagar, Tirunelveli, Thoothukudi, Kanniyakumari, Hosur, Rajapalayam, Puduchcheri, Kerala. We hold immense expertise in wholesaling, trading, distributing and supplying a broad range of Flood Light With Sensor - SN-LP3057. This motion sensor is ideal for Living Rooms, Balcony, Staircase, Corridors, Lifts etc.The offered motion sensor is developed with manual override on operational modes, universal mounting design, and quick installation mode. In addition, we also offer this motion sensor in a variety of specifications as per the need of customers. Automatic Switching based on motion and ambient light level. Compact size makes it suitable to fix within most luminaries. 4-Pole Press-in terminal (L,N, N,L), easy assembly. Input Voltage: 220-240 Vac , 50 Hz. Approval: CE, R & TTE. IP Rating: IP65 Detection: Max (D x H): 12mx6m. We Are The Leading Manufacturer And Suppliers For Flood Light With Sensor, In South India Such As Thiruvallur, Chennai, Kancheepuram, Vellore, Thiruvannamalai, Krishnagiri, Dharamapuri, Villipuram, Cuddalore, Salem, Erode, Namakal, Perambalur, Nilgiris, Coimbatore, Tiruppur, Karur, Tiruchchirapalli, Ariyalur, Nagapattinam, Thanjavur, Thiruvarur, Nagapattinam, Pudukkotai, Dindigul, Theni, Madurai, Sivagangai, Ramanathapuram, Virudunagar, Tirunelveli, Thoothukudi, Kanniyakumari, Hosur, Rajapalayam, Puduchcheri, Kerala. We hold immense expertise in wholesaling, trading, distributing and supplying a broad range of Panel Light With Dimmer Driver Motion Sensor - 16W - SN-SPL16. This motion sensor is ideal for Living Room, Balcony, Staircase, Corridors etc.The offered motion sensor is developed with manual override on operational modes, universal mounting design, and quick installation mode. In addition, we also offer this motion sensor in a variety of specifications as per the need of customers. We hold immense expertise in wholesaling, trading, distributing and supplying a broad range of Panel Light With Dimmer Driver Motion Sensor-16 W- SN-RPL16A. This motion sensor is ideal for Living Rooms, Balcony, Staircase, Corridors,etc.The offered motion sensor is developed with manual override on operational modes, universal mounting design, and quick installation mode. In addition, we also offer this motion sensor in a variety of specifications as per the need of customers. Microwave LED Sensor SMART PANEL LIGHT with dimming Option, 16W output. Outer Dis =185mm, Cut out Dia =168 mm. 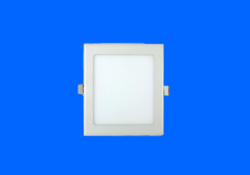 We Are The Leading Manufacturer And Suppliers For Panel Light With Dimmer Motion Sensor - 16W- SN-RPL16A. In South India Such As Thiruvallur, Chennai, Kancheepuram, Vellore, Thiruvannamalai, Krishnagiri, Dharamapuri, Villipuram, Cuddalore, Salem, Erode, Namakal, Perambalur, Nilgiris, Coimbatore, Tiruppur, Karur, Tiruchchirapalli, Ariyalur, Nagapattinam, Thanjavur, Thiruvarur, Nagapattinam, Pudukkotai, Dindigul, Theni, Madurai, Sivagangai, Ramanathapuram, Virudunagar, Tirunelveli, Thoothukudi, Kanniyakumari, Hosur, Rajapalayam, Puduchcheri, Kerala. The product is a new saving-energy switch; 360 degree Ceiling Mount Stand Alone Light Control Pir Sensor MODEL : ULTRA – QS - 09 , it adopts good sensitivity detector, integrated circuit. It gathers automatism, convenience, safety, saving-energy and practicality functions. The wide detection field is consisting of detectors. It works by receiving human motion infrared rays. When one enters the detection field, it can start the load at once and identify automatically day and night; its installation is very convenient and its using is very wide. It has functions of power indication and the detection indication. Ambient Light : <3-2000 Lux (Adjustable). The product is a new saving-energy switch; Pir Motion Sensor Weather Proof For Outdoor Use – ULTRA – QS – 09, it adopts good sensitivity detector, integrated circuit. It gathers automatism, convenience, safety, saving-energy and practicality functions. The wide detection field is consisting of detectors. It works by receiving human motion infrared rays. When one enters the detection field, it can start the load at once and identify automatically day and night; its installation is very convenient and its using is very wide. It has functions of power indication and the detection indication. 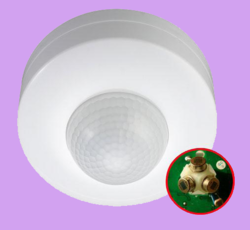 We hold immense expertise in wholesaling, trading, distributing and supplying a broad range of 360 degree Ceiling Mount Stand Alone Light Control Pir Sensor. 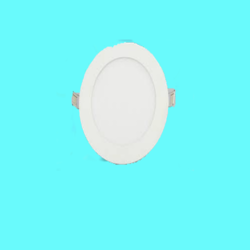 This motion sensor is ideal for Main Enterance, Toilets / Lobby. Corridor, Pantry, Covered Parking area, Stairways. The offered motion sensor is developed with manual override on operational modes, universal mounting design, and quick installation mode. 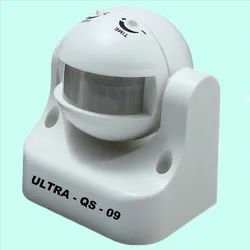 In addition, we also offer this motion sensor in a variety of specifications as per the need of customers.